The cardinalfish (Apogon imberbis) is a small fish with an overall red colouration suited to its habit of living in shaded areas. It is found under overhangs, undersea caves and other areas where shade is permanent. 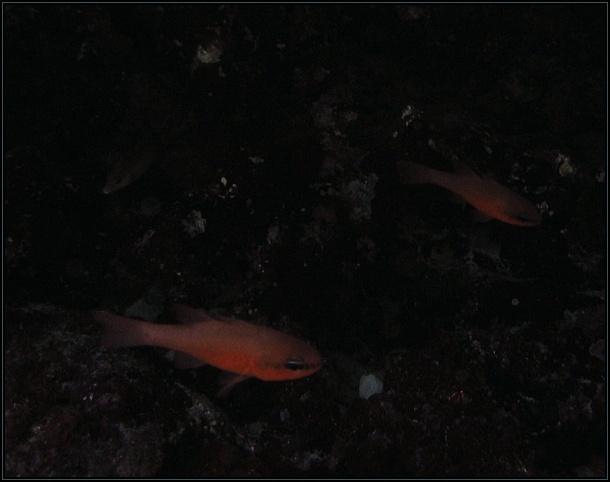 It is a common and docile fish, often encountered in small numbers by divers visiting such areas.